Widely known and used since Antiquity, vetiver (or vetyver) is a perennial plant originating in southern India, whose name is derived from the Tamil word vettiveru (Tamil is the language spoken in Tamil Nadu). The people of India were the first to recognize vetiver’s aromatic and medicinal properties, as attest ancient ayurvedic treatises written in Sanskrit around the year 1,000 BCE. In the perfumer’s palette, vetiver (Vetiveria zizanioïdes of the grass family) is often combined with precious raw materials such as jasmine, rose, ylang-ylang, neroli and patchouli. Until the last century this tropical aromatic plant remained largely unknown in the West outside of the perfume world. In fact the word vetiver did not appear in the French language until the early 19th century. This was an important period because in 1809, the first chemical analysis of vetiver oil was made in France on the extracts of roots imported from Reunion Island, then known as Île Bourbon. This herbaceous plant grows from 1.5 to 2 m in height and has long, straight, shiny leaves whose thick, twisted roots grow vertically 3 meters deep. The roots or rhizomes contain a resin, similar to that of myrrh, which is processed to provide essential oil of vetiver. Among the dozen of types of vetiver, there is a great diversity in how the plant grows, in terms of the direction and thickness of its roots. Vetiver grows on damp soil, in tropical and subtropical plains, particularly along rivers and swampy terrains, resisting both periods of drought and prolonged flooding (during the monsoon). Harvesting it is called “excavation” because the soil must be turned over to extract the roots, which are then distilled to reveal the fragrance. The distilling process takes more than 24 hours and requires a huge amount of water. It is done from August to December, one year after planting. The yields are highly variable from one country to another. After the washed, cut and sun-dried rhizomes are steam distilled, the vetiver root gives a very thick, resinous, yellowish essence. Its scent is fine and complex: woody, aromatic, green, sometimes slightly smoky and very persistent. Essential oil of vetiver has one of the woodiest scents of all aromatic plants. Combined with other ingredients it can highlight certain floral or chypre notes, and it acts as an excellent fixative for volatile ingredients. In perfumery, three different varieties of vetiver root are used: Bourbon vetiver (considered to be of superior quality), Haitian vetiver and Javanese vetiver, called akar wangi, fragrant root. Wild vetiver originally comes from Indonesia and the Indian peninsula (where it has been called khus khus or khus oil for several centuries). It grows in the Indo-Gangetic Plain (Northern India and Bangladesh) and abundantly in the southern states of India (Kerala and Western Tamil Nadu). This aromatic plant was grown in Reunion Island starting in 1900 for use in the perfume industry, since the quality of the essential oil of “Bourbon vetiver” was recognized as the best in the world. Bourbon vetiver stands out due to its earthy, rooty, spicy, leathery, hazelnut aspects, with a slightly rosy facet, while Javanese vetiver is earthy, bitter and extremely smoky. Though recognized for its quality, vetiver production on Reunion has become marginal due to a lack of labor, yield, a reduction in fields planted and drought. Reunion Island vetiver has been dethroned by Haitian vetiver. The essence of Haitian vetiver is smoky, woody and a little green. The main species of vetiver are also grown in other regions of Asia, such as Burma, Nepal, Sri Lanka, China and the Philippines, as well as the Comoros, South Africa, Madagascar, Haiti, Jamaica and Brazil, but most of these countries are not producers of essential oil. The non-aromatic properties of this perennial plant are used notably in agriculture, as the plant has proven to be very effective in soil fixation and as an insecticide. Today the essential oil is distilled mainly in Haiti, China and Java. Haiti is the world’s leading exporter of essential oil of vetiver in quantity and quality of production, ahead of China and Indonesia, 74 metric tons in 2012, or 50% of world production, at a price of US $151 to US $500 per kg. It is the 2nd exported product after coffee and mango. France is the leading market for essential oils of vetiver, far ahead of the US, Spain and Switzerland. It takes 150 kg of dried roots to obtain 1 kg of essential oil. World production varies from 120 to 150 metric tons, depending on the year. 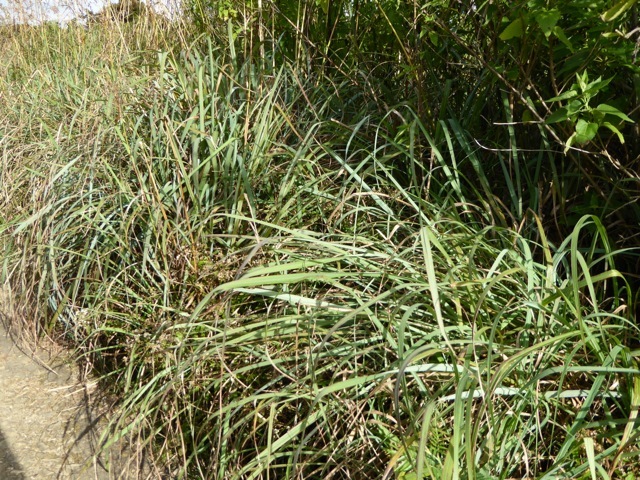 On the world market, vetiver demand continues to grow due to its unique fragrance and very good solubility in alcohol.  In addition, no synthetic substitute is available as of yet, which makes this raw material a unique resource in perfumery. However, though no synthetic molecule of vetiver exists yet, perfumers have successfully identified the aromatic ingredients of the essential oil: Beta vetivenene, alpha and beta vetivones, khusimol and isovalencenol. In addition they were able to synthesize certain molecules contained in vetiver based on its essential oil, such as vetiverol and vetiverone (alcohols), and above all vetiveryl acetate used in fine perfumery. Vetiver, a bitter aromatic root belonging to the woody fragrance family (vibrant woody), is mainly used in men’s fragrances and more rarely in women’s. The top five perfumes of reference using vetiver in a “fresh version” stand out from the previous period of men’s fragrances, whose fougère scent was abandoned as it has a strong connotation of soap and toiletries (deodorant, after-shave). Carven’s VETIVER, created by Firmenich in 1957 (woody*). No longer available today, this perfume can be smelled exclusively at the Osmothèque. Other than the strong presence of vetiver, aromatic notes created a particularly fresh and elegant woody harmony. Carven later launched a women’s version of VETIVER. 2. VETIVER created by Jean-Paul Guerlain in 1959 (woody spicy*). Doubtless the most well known of vetiver fragrances is this magnificent work by Jean-Paul Guerlain who showed, through 43 fragrances, tremendous keenness for natural raw materials. With Vetiver Jean-Paul Guerlain created his first olfactory work, evoking the duality of nature, earthiness after rain, fresh morning air, wisps of tobacco smoke mixed with spices. Givenchy’s VETYVER in 1959 (woody). Lanvin’s VETYVER in 1964 (woody with a citrus facet). Le Galion’s VETIVER in 1969 (woody). It is of note that in 1921, Molinard’s HABANITA (ambery floral woody*) proved to have an obvious vetiver ingredient. But the very first women’s fragrance with vetiver in the base note was the very famous CHANEL N°5, the work of Ernest Beaux in 1921, a floral aldehyde*. This is one of the world’s best selling perfumes. Following in the footsteps of N°5, a second women’s fragrance with a vetiver base was Lanvin’s ARPEGE, signed by André Fraysse in 1927, also a floral aldehyde*. In 1949, woody accords with vetiver were used in Victor’s ACQUA DI SELVA (woody coniferous citrus*). DETCHEMA, launched by the furrier Révillon in 1953, was a floral aldehyde* and the favorite fragrance of Maria Callas. No longer available today, it can be smelled exclusively at the Osmothèque. Dior’s EAU SAUVAGE, created by Edmond Roudnitska in 1966, is a citrus floral chypre* and the brand’s first men’s fragrance. It was a novelty at the time, with its chypre woody accord composed using a woody vetiver note that evokes damp undergrowth. INFINI from Caron, reformulated in 1970 from the E. Daltroff perfume in 1912, is a floral aldehyde*. LE BAISER DU DRAGON (2003, floral woody) from Cartier and created by Alberto Morillas is a good example of how to turn vetiver into a women’s fragrance with floral and powdery accents. In 1978, spicy aromatic notes made up L’Artisan Parfumeur’s VETIVER (woody aromatic*), and leather accents went into Annick Goutal’s VETIVER in 1985 (woody spicy leather*). Dominique Ropion created VETIVER EXTRAORDINAIRE at the Editions de Parfums de Frédéric Malle en 2002, using an extraction process that limits camphory notes and makes it possible to use vetiver essence at high concentrations. Enhanced by citrus notes, it has a round, clean softness while maintaining vetiver’s warm, elegant, sensual, woody personality. In 1991, KENZO POUR HOMME was a woody marine fagrance with a vetiver facet. Hermès gave its vetiver a powdery note with its Hermessence fragrance VETIVER TONKA (2004), with gourmand almond and caramel notes. The grapefruit-vetiver accord came to fame in the vetiver and cedarwood fragrance TERRE D’HERMES in 2006 (woody spicy) created by Jean-Claude Ellena, Hermès house perfumer. LE SEL DE VETIVER (woody aromatic), from The Different Company was created in 2006 by Céline Ellena, the daughter of Jean-Claude Ellena: this fragrance is made with a floral accord over a base of Bourbon vetiver. Lalique launched ENCRE NOIRE in 2006, an authentic, elegant, timeless woody* vetiver for men by Nathalie Lorson. Three years later, Lalique took up the vetiver theme in a women’s perfume with ENCRE NOIRE POUR ELLE by Christine Nagel: a musky and sensual floral water. In Hermes’s new series based on the idea of gardens, Jean-Claude Ellena created UN JARDIN APRES LA MOUSSON in 2008, after Un Jardin en Méditerranée and Un Jardin sur le Nil. This time Ellena’s inspiration came from the state of Kerala in India: he wanted to capture the idea of nature reborn after the rainy season. The fragrance is citrus, green and woody with spicy top notes over a slightly bitter base filled with smoky vetiver. Chanel’s SYCOMORE (Les Exclusifs Collection, 2008) offers a complex, elegant vetiver evoking the smell of undergrowth in autumn, from Jacques Polge. Dior followed suit with COLOGNE VETIVER in the Couturier-Parfumeur collection, an almost “single-ingredient” vetiver. L’Artisan Parfumeur launched CŒUR DE VETIVER SACRE in 2010 as a unisex fragrance. Karine Vinchon uses vetiver here not as a major raw material but as a support to highlight the dominant accords of the perfume. Since the late 1950s, more than 300 men’s and women’s perfumes have familiarized perfume lovers with the ever recognizable woody note of vetiver essence, even when its presence is limited to embellishing floral, spicy, powdery notes to give birth to delightful, timeless olfactory works of art. Many perfumers have been and still are fascinated by the great variety of nuances vetiver offers, as its many earthy and woody facets make it a perfume in itself. And a marvelous one when it perks up an original fragrance creation.